With Superior Color Gamut, WFB presents a clearer image. M+ (RGBW) Panel enables the transparency higher than conventional RGB panel so that it increases the image visibility. LG IPS technology provides true color image as the actual product color. IPS panel technology has the better control of liquid crystal. 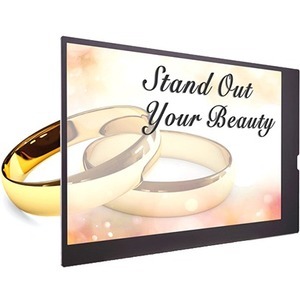 As a result, it allows users to view the screen virtually at any angle. It has excellent energy-efficiency and cost-savings with the M+ panel, which decreases power consumption by 30% compared to the RGB panel.